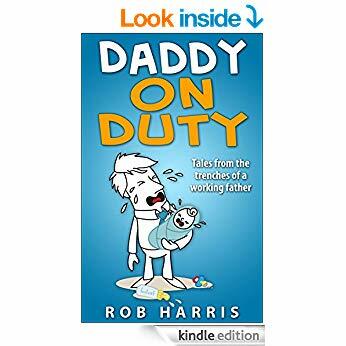 Rob Harris is a 40 year old father of 2 young boys. With only 17 months separating Max from Zak, Rob is equally inspired by the love and admiration they have for each other and their seemingly endless appetite for beating the crap out of each other. Rob first put pen to paper, with the published article, “I swear I’m becoming more like my father”, in order to find out if he was the only father sick of the sound of his own voice. Rob is a speaker on the trials and tribulations of parenting while running a small business. This blog is an outlet, an avenue of escape and a way for Rob to connect with others who are bringing up kids, living life and having fun. Hi! I nominated you for the Very Inspiring Blogger Award (I see I’m not the only one who has felt you deserved an award 🙂 ). If you are interested in accepting it please click on my link and the info is there (under Rules). Thank-you!! Am a smog. (Smug mother of only girls) but I love this to Gain an insight into the ‘other side’. Hope you will like my blog too. Just starting out. All advice greatly received!! !